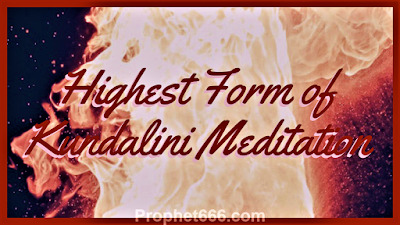 In this post, I have described the method of preparing a most powerful Mantra Infused Exorcism Talisman to exorcise a possessed person of ghosts, spirits, demon and other harmful ghostly entities. The Mantras, which are used for infusing this exorcism talisman are the Surya Gayatri Mantra and the Yam Deep Daan Mantra. 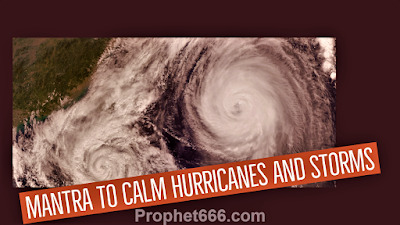 In this post, I have written about a Shabar Mantra for calming down and pacifying Hurricanes, Typhoons, Storms and Hailstorms, which are massive natural disasters. Readers should take note that this post has been solely written to give interesting information about rare Hindu Mantras. 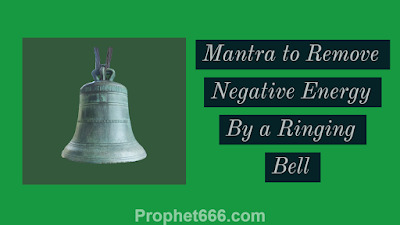 In this post, I have described the procedure of using a unique Mantra to remove negative energies by ringing a Bell. 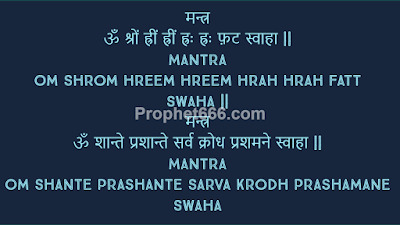 The Mantra does not have to be chanted in order to use it to remove the bad energy, which includes dull, harmful and malefic vibrations from a specific place. 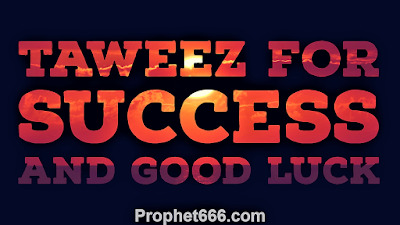 In this post, I have written about a numerical Tantrik Taweez, which works in the same manner as a Yantra and is said to be effective in quickly bringing good luck to the user and increasing his chances of getting money, wealth and property or success in business or finding a better paying job. 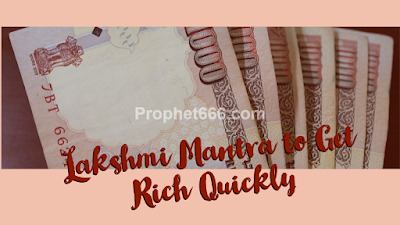 In this post, I have described a most powerful and effective Goddess Lakshmi Mantra to get rich quickly. This Mantra is dedicated to Lakshmi Mata as Kamala, the One Seated on a Kamal or Lotus Flower and is said to give the practitioner his wished for or desired wealth quickly. In this post, I have written about a very powerful healing Beej Mantra combination, which is said to be effective in giving relief from most diseases and ailments. Along with this Mantra, I have written about another Mantra for removing impurities or negative forces and energies from your body. 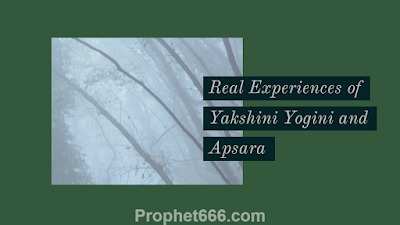 Many people mistakenly believe that Yaksh, Yakshini, Pishach, Pishachini Yogini and Apsara Sadhanas can be practiced in the same manner as other Hindu Devotional Mantra Sadhanas. 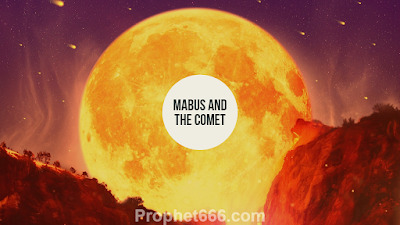 These people do not know about the dangers of invoking these mystical beings who are many times more powerful than the normal ghost or spirit. The Aghor Panthiya Shava Sadhana or the Sadhana, which is performed while sitting on the body of a dead person and Chanting a Mantra is considered to be one of the most fearsome and secretive of all Tantric Mantra Sadhanas. Tantra is four-fold in nature and Tantric Sadhana is for the fulfillment of the four primary aims of life Artha, Kama, Dharma and Moksha or the Four Purusharthas. Tantra incorporates both material and spiritual existence, it is not just confined to Liberation or the gain of higher intelligence or Siddhis. 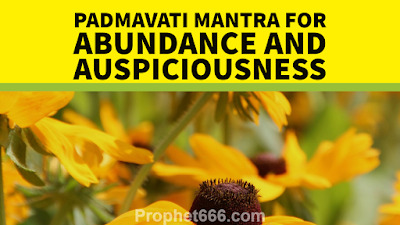 In this post, I have written about a most beneficial Mantra to appease the Goddess Padmavati and bring abundance, auspiciousness and good fortune into your lives. Padmavati Devi is a most revered and worshiped deity in the Jain religion. The Yantra described in this post by me is a 24 Tirthankar Yantra, which contains a most powerful Beej Mantra. This Jain Yantra Mantra Sadhana is practiced to gain unbelievable wealth, money, prosperity, abundance and luxuries of all kinds. 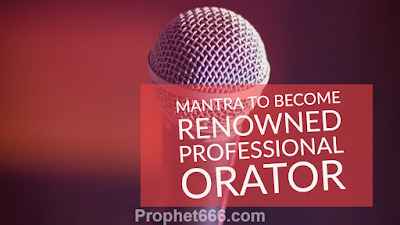 A special Mantra to become a renowned professional orator or motivational speaker has been described by me in this post. 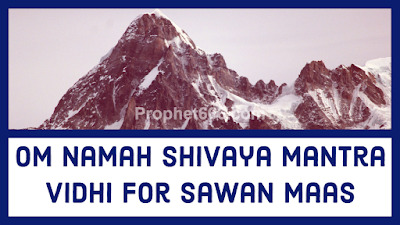 This unique Mantra also originates from the same Saraswati Tantra, which has prescribed unique Mantras for magnifying and strengthening the vocal cords of an individual. 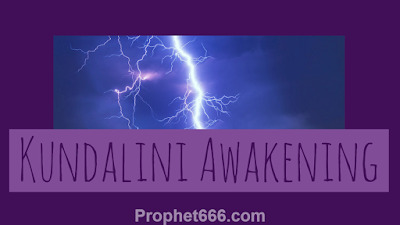 In this post, I have written about a deadly and fearsome Maran Yantra Ritual, which is practiced by Aghora Sadhus and Tamsik Tantriks to destroy an enemy. This death inflicting Tantric Ritual is performed at night in secrecy by these practitioners of Black Magic. The Moon or Chandra Dev affects the mind of an individual more than any other planet in the zodiac. 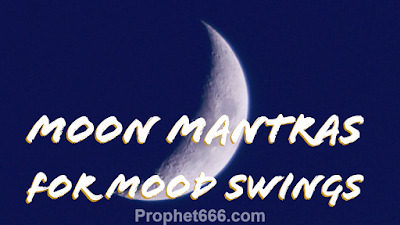 Mood swings, depression, tensions, fears and phobias are common among a lot of individuals during the period of Purnima and Amavasya. 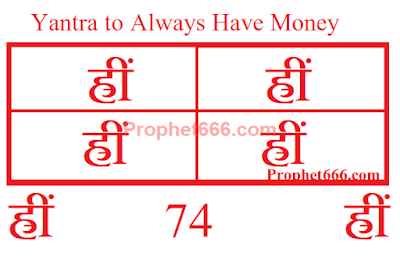 A simple but powerful Yantra to always have money in your wallet or cash box has been described by me in this post. This effective and auspicious Money Attracting Yantra makes the use of the most powerful and potent ह्रीं -Hreem Beej Mantra. These verses from the Vijnana Bhairava Tantra, which is contained in the Rudrayamala Tantra are some of the more simpler, but very effective methods of awakening and elevating the Kundalini Shakti and merging it with the Supreme Being. 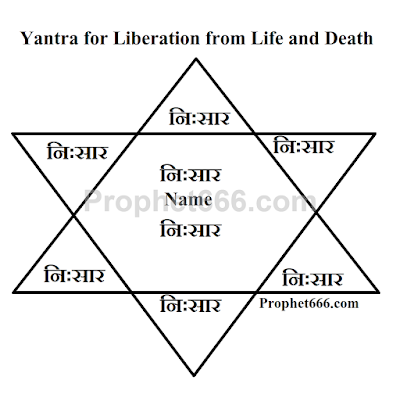 In this post, I have described the method of preparing and using a special Yantra to get ultimate liberation from the unending cycle of life and death. In the Hindi language this Yantra is called as the Moksha Prapti Yantra. Apart from the 36 Yakshinis named in most of the Tantras on Yakshas and Yakshinis, including the Uddamareshvara Tantra, which is the most famous and widely followed Text on Yaksha and Yakshini Sadhanas there are still many unknown Yakshas and Yakshinis. After a long gap, I have come back to the prophecies and predictions made by Nostraduams on the final war of Armageddon or World War 3, the long anticipated nuclear/ chemical/ biological war, which will wipe out most of mankind and change the face of the world and the lifestyles of it population. In this post, I have written about 2 simple to practice Shabar Vidya Healing Mantras for removing back pain. These are Siddh Mantras and they can be put to use immediately for getting relief from back pain, including severe lower back pain. 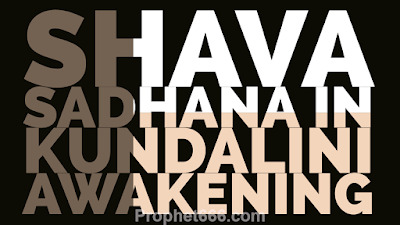 Hello Readers, due to engagement in some Sadhanas, I was not able to post, but as Sawan has started in some parts of India like Rajasthan and Uttar Pradesh and will start in some states 12th due to the Amanta and Purnimanta Calendars. In this post, I have written about a Nath Sampradaya Shabar Healing Mantra, which is said to be most powerful and effective in removing fever. 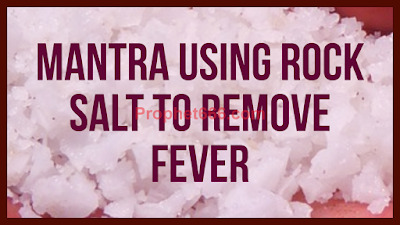 This Mantra makes the use of Infused Sendha Namak or Rock Salt for exorcising the fever from the body of a sick person. 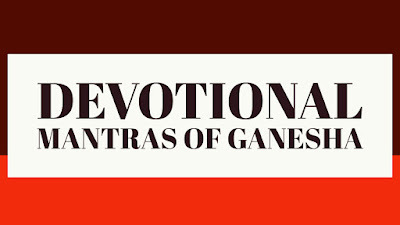 In this post, I have written about some Devotional Mantras of Ganesha, which are long-term Meditation Mantras Lord of the God of All Beginnings and Auspiciousness and can prove to be most beneficial for the selfless and sincere Bhakt of Shri Ganesha. This is a Sparsh Se Nari Ka Vashikaran Mantra Prayog or a Mantra for putting a specific woman under a Voodoo Spell of attraction by touch. The term Vashikaran in the context of this Vashikaran Mantra means a kind of Hypnotic trance in which the heart of the specified woman melts and she is open to all kinds of suggestions, which are put forth by the Spell-Caster. 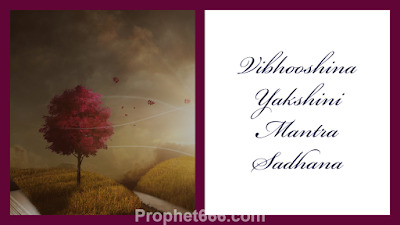 This is said to be an amazing Vashikaran Mantra for attracting any powerful and elusive person for whatever purpose the practitioner has in mind. 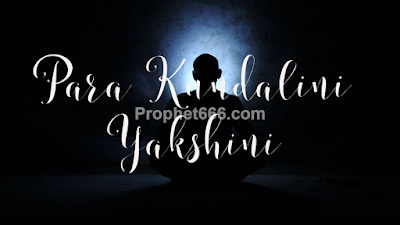 The daily chanting of this Vashikaran Mantra is said to firmly bind that person under a strong and effective magical attraction spell of the practitioner. 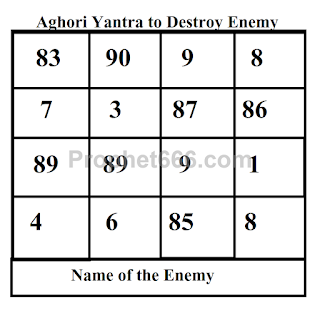 This is a specific Numerical Yantra, which works like a love destruction charm for getting over the love and affection felt for an ex-husband or wife or an ex-lover with whom you have broken off and do not wish to come close to that person. 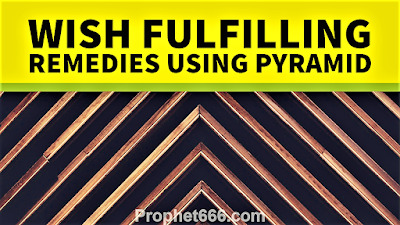 In this post, I have described a few paranormal remedies for wish fulfillment using the Pyramid, which is considered to be most auspicious and effective symbol in Vastu Shastra. These are most simple methods of utilizing or tapping the power generated by the Pyramid.